Autumn stirs a deep longing in my soul. I know it’s time to let go of my leaves, turn south, find home. 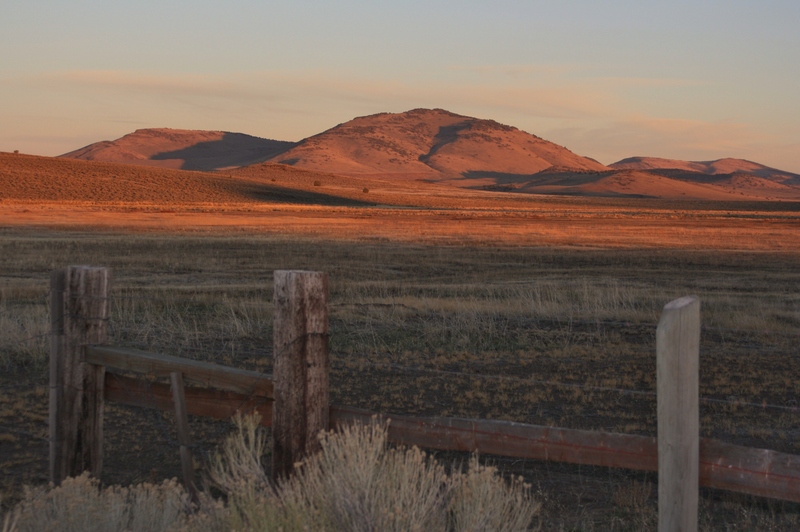 Contrary to instinct, my husband and I head north to the high desert of south-eastern Oregon. Malheur National Wildlife Refuge is a landing place on the Pacific Flyway, where the lake and high desert nurture birds migrating north and southwards. We were late. Most birds– Sand Hill Cranes, Geese, Ducks, Swans – had already left. We hoped to find them on our return to California’s Central Valley happily ensconced in the Sacramento National Wildlife Refuge for the winter. They were. Although we found over 25 bird species at Malheur, what we really discovered was High Desert. In the absence of the usual hundreds of thousands of migrating birds, the landscape was laid bare, revealing muted shades of autumn orange, yellow and purple. We circled the perimeter of the 30 mile-long Steens Mountain one day, then drove to the 9,733 foot summit the next, crunching in the snow to peer down the glacial valleys or watch Bighorned Sheep. As Duncan, our Naturalist Guide from the Malheur Field Station, interwove stories of geological, avian, symphonic and human intrigue, I pondered that all places on earth must have their storytellers, artists and musicians. Nine days on the road was enough for our weary bones. 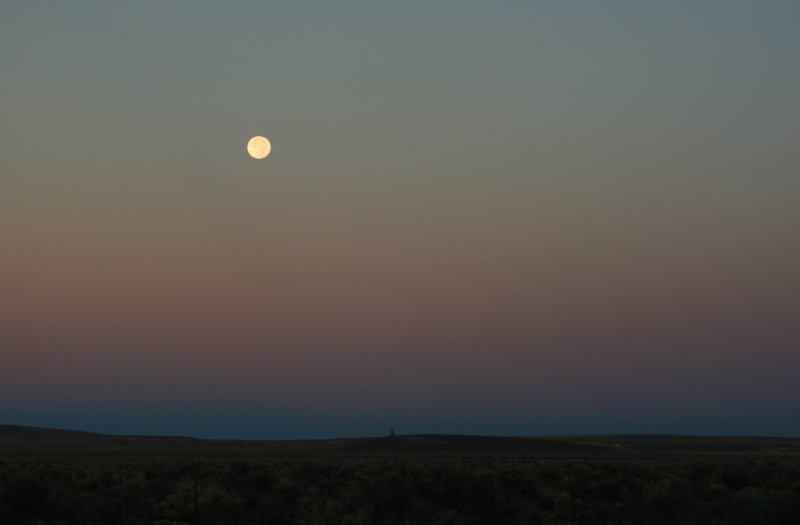 My friend Nancy suggested that maybe we take these road trips because it feels so wonderful to be back home, snuggled in our own beds, with dreams of the full moon rising over the desert.